Honor your employees, clients, and friends, with a meaningful gift. 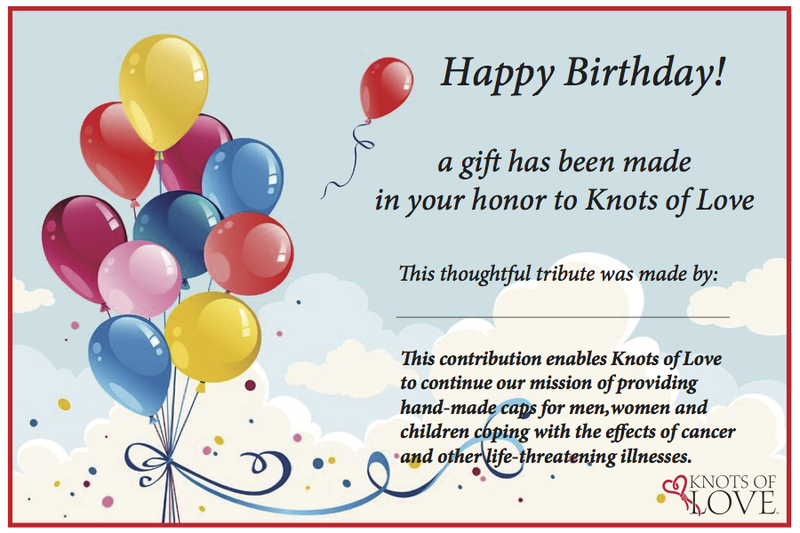 When you participate in the Knots of Love Giving Card Donation Program, those who receive your best wishes will understand your commitment to helping us provide hand-made caps for men, women and children coping with the effects of cancer and other life-threatening illnesses. 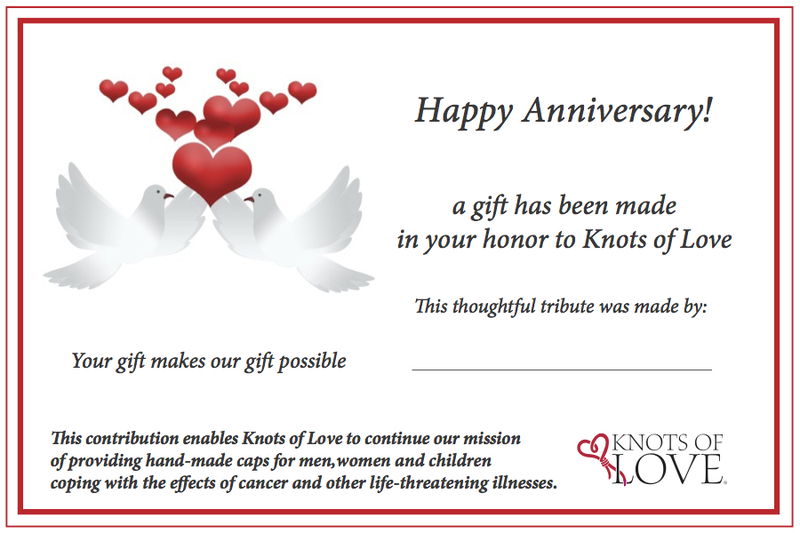 For multiple recipients, send a recipient list and amounts to donations@knotsoflove.org. Charge one Giving Card amount for all combined recipients. All contributions are tax deductible, easy to distribute and provide priceless benefits to those in need. Receive a beautiful holiday card to send to your clients, colleagues, friends and business associates. 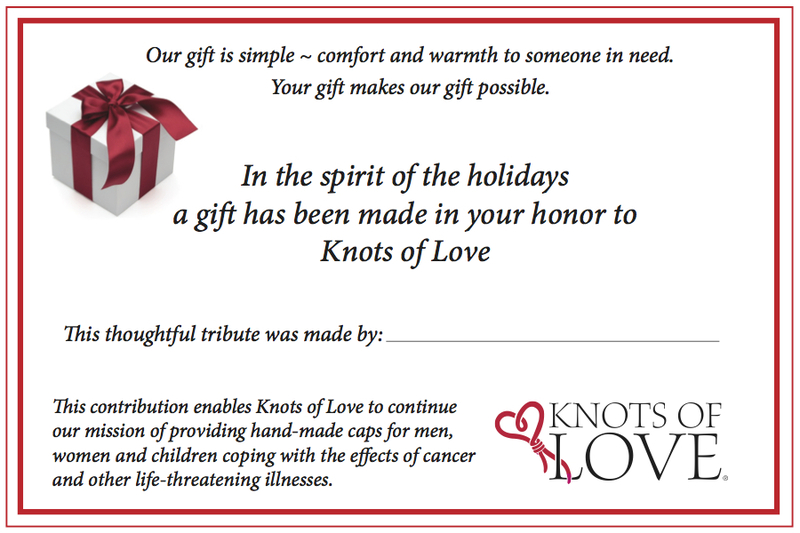 The card delivers a holiday greeting from you, and demonstrates your desire to help someone coping with effects of cancer and other life-threatening illnesses. To buy this giving card, please click here. Make your gift a personal remembrance that honors the memory of a loved one, friend, relative or colleague. 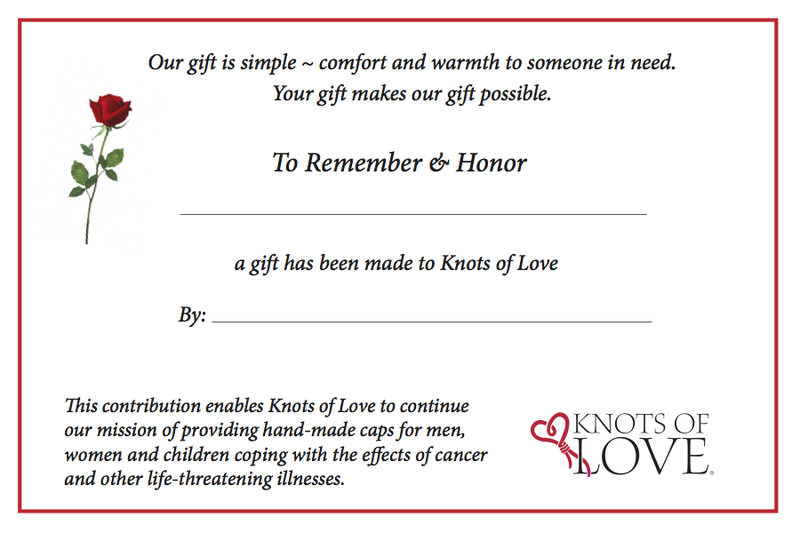 Or provide a very special honor to a living friend, relative or colleague. To buy this giving card, please click here. Celebrate a birthday or anniversary of someone dear to you. To buy the birthday giving card, please click here. To buy the happy anniversary giving card, please click here.